David Beresford Pratt was born on 1 October 1909 to Arthur and Georgina Pratt. The family immigrated from London in the United Kingdom to Johannesburg, South Africa when Pratt was two years old. He developed epilepsy at a very young age and was regularly hospitalised throughout his adult life for psychiatric treatment. He grew up in a wealthy home in Houghton Estate, Johannesburg, Transvaal (now Gauteng).His father had business interests in a range of companies that included the Electricity Supply Commission, Rand Water Board, as well as some iron and steel companies and two investment companies. Pratt attended King Edward VII Boys High, and although he was very bright, he was unpopular because of his anti-social behaviour. After school he was sent to Cambridge University where he qualified as a chartered accountant. As the only son he became the heir to his father’s vast fortune. He was a wealthy, businessman and farmer in Magaliesburg. He owned four farms, one of which had a manganese mine. He also bred Ayrshire stud bulls and won many prizes for his choice herd. He also had a trout farm and supplied fresh trout to restaurants in Johannesburg. He was a respectable citizen by all accounts, a regular churchgoer who took an interest in the lot of elderly people.His epilepsy, however, made him unpredictable and prone to delusions and manic behaviour patterns that impacted on his personal relationships. Pratt was a staunch supporter of South Africa remaining part of the British Commonwealth and identified strongly with the British Empire and his British heritage. He was strongly opposed to Afrikaner Nationalism and was convinced that apartheid was ‘a monster’ that would drag South Africa backwards. He joined Alan Paton’s Liberal Party established in 1953 and believed that a coalition between liberals and verligte (enlightened) Afrikaners was the only solution to defeating the National Party at the polls.Although he had no political experience, he saw himself as playing a crucial role in bringing about such a coalition. According to his doctors this was evidence of the delusions of grandeur that he suffered as a result of his illness.He often experienced a state of grand euphoria after a major epileptic attack (in medical terms a grand-mal or major seizure), followed by a heightened sense of his capacities and role in the world.In this state of mind he would undertake embark on actions that involved excessive spending, reckless business decisions and grandiose religious claims. 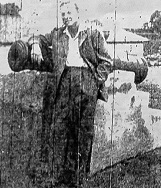 His first marriage to journalist Mary Hatrick ended in divorce after the death of their four year old son in 1945.After the divorce, which became a long drawn out affair, he fell into a serious depression and his epileptic attacks increased.According to Dr Solly Jacobson, a member of the Communist Party of South Africa(CPSA) and a close friend of Joe Slovo, who began treating Pratt after 1958. Pratt had an attack every ten days. He received electric shock therapy and also went to the United States of America (USA) for treatment. On his return trip from the USA, he met Patty van Heijiningen, the daughter of a Dutch radiologist. They subsequently married and had two children - a daughter, Georgina in 1953, and a son Charles David in 1956. It was after the birth of their daughter that his epileptic attacks became more pronounced and was often followed by either a state of grand delusion or extreme depression.During his second marriage his illness was increasingly accompanied by states of grand euphoria and violent behaviour. In 1954 he suffered a major attack in which he experienced a state of such grand euphoria that he saw himself as the only person who had the solution to South Africa’s political crisis. He saw himself as a saviour and prophet, deciding to give away all his possessions.At times he suffered from auditory hallucinations, hearing organ music. He interpreted the music as a divine message and took piano lessons. According to his wife, once a month he would stay up all night and play a single chord repeatedly.Between January 1956 and January 1958 he was constantly being hospitalised. Life with him became unbearable for Patty and in 1958 she returned to the Hague, Holland taking their two children with them.After she left he became severely depressed and tried his best to convince her to return.He also attempted to commit suicide three times. 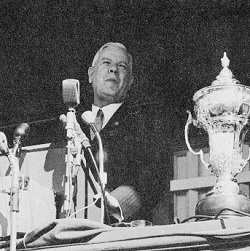 After his speech Verwoerd inspected some prize cattle and then took his place next to his wife Betsie in the section of the podium reserved for honorary guests. Pratt was seated in the VIP since he had a trout exhibit on show. Soon after he walked up the podium towards Verwoerd and took out a .22 calibre pistol and shot Verwoerd twice in the face at point-blank range. He was soon accosted and arrested and held at the Marshall Square police station. The attempted assassination occurred 19 days after the Sharpeville Massacre of 21 March 1960. The aftershock of the events at Sharpeville still dominated world and South African press reports. 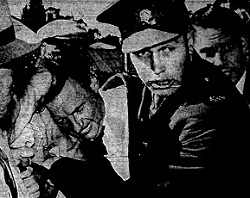 News reports of Verwoerd’s condition after the attack and of the ‘assailant’, as the Cape Times referred to Pratt, shared space on the front pages of newspapers with reports on the inquiry into the Sharpeville massacre, the trial of Robert Sobukwe, the police sealing off townships on the Rand, and dawn raids on a number of shack settlements. It was still unclear whether Pratt’s unsuccessful attempt on Verwoerd’s life was connected to the ongoing political situation. Pratt’s detention was shrouded in mystery as his expected appearance in court failed to take place and his lawyers were unaware of his whereabouts. Pratt was in fact detained under the emergency regulations. 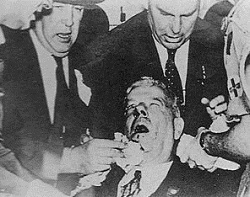 The Cape Times reported ‘we have it on sound authority’ that the attack on Verwoerd was ‘the act of an irresponsible individual, not an organized plot’(Cape Times, 11 April 1960).On the front page, it published a statement by the Deputy Commissioner of Police in the Western Cape, Colonel Terreblanche, that ‘the attack on the Prime Minister was not an organised one: it was purely an isolated attack by an individual (ibid). Nothing further was reported on Pratt until September when his trial was due to begin. There is no doubt that the attack on Verwoerd heightened the sense of crisis that prevailed in the wake of events at Sharpeville. The South African government was already faced with international condemnation for the Sharpeville massacre. Internally, a State of Emergency on 30 March was declared, leading to the arrests and detention of thousands of people and the banning of organisations. Both before and after the attack on Verwoerd, newspapers were filled with reports on events relating to the apartheid state’s attempts to crush what one journalist referred to as ‘a popular insurrection’. The day before the attack, the African National Congress (ANC) and the Pan African Congress (PAC) were both banned. The inquiry into the Sharpeville massacre began on Monday 11 April, two days after the shooting at Milner Park. Once it was clear that Verwoerd survived the attack and made a recovery, Pratt was brought before the Johannesburg Magistrates Court for a preliminary hearing on 20- 21 July 1960. He was represented by Advocate Issie Maisels. Pratt’s trial proper began on 12 September. Before the trial began Maisels indicated that the defence would lodge a formal request to the court to have Pratt declared insane and therefore not legally responsible for his actions. The Attorney-General had already received copies of psychiatrists’ reports who had treated Pratt and indicated that he would not oppose such a request. Dr. L.A. Hurst, Professor of Psychological Medicine at the University of the Witwatersrand, testified that Pratt had told him that the day before his assassination attempt that he had had ‘a feeling’ when he saw about one hundred detainees loaded into a prison van. This ‘feeling’ continued the next day and became particularly intense, leading him to think that ‘someone in this country must do something about it, and it better bloody well be me, feeling as I do about it.’ After he listened to Verwoerd’s speech, he thought that, ‘I shall not kill this man, but lay him up for a month or more to give him time to think things over. (The Star, 13 September 1960). Pratt had interrupted the court proceedings himself, saying, ‘I was shooting at the epitome of apartheid, rather than Dr. Verwoerd.’ Later in the day, he requested permission to make a statement, which was granted by the presiding judge. During that period at sunset I received my first message that it was necessary for me to go out and give a message to South Africa. Well, how could I go out and give a message? Could I grab people by the lapels of their coats? So I took no notice. A day passed. The message came again. The second day passed. The third day passed. The message was still there’ (The Star, 13 September 1960, 1). The first stage of euphoria suddenly occurred when I was driving my car from Magaliesberg to Krugersdorp. It is difficult to describe. It was as though a light was turned on. I was quite out of breath ”¦ later they began in much the same way. The message was infinitely stronger ”¦ I had the same sense of mission – to give South Africa a particular message. I still took no action ”¦ I thought something has got to be done, although I was still without a forum or any means of conveying it. Then the means of conveying it was shown to me. It was then that I tried to form a coalition. I was not successful. After separation from his wife his depressions grew deeper and deeper along with his sense of guilt over ‘everything that was going wrong in South Africa’. ‘I thought I should have given my message. The troubles I had felt would follow, did follow.’ After returning to South Africa from a visit to Europe, he ‘was horrified at the disintegration that had taken place while I was away’. I felt it was necessary to shoot the stinking monster of apartheid that was gripping South Africa and preventing South Africa from taking her rightful place among men ”¦ Then I got the thought that if I hit the Prime Minister in the right spot I would give him time to reconsider ”¦ I went out. I could have shot to kill him. I did not. By the time I was taken away I started feeling an immense feeling of relief ”¦ All I was conscious of was that there was relief from tension. When I went to the cell I had the best night’s sleep I’d had in years. (The Star, 13 September 1960, 3). The judge ordered that Pratt be sent to Weskoppies Mental Hospital for a two week observation period and that a report must be prepared by the head physician of the institution.On the 26 September the court found David Pratt insane and committed him to a Bloemfontein Mental Hospital. He committed suicide in October 1961 by hanging himself with a rolled-up bedsheet. • Bell, Terry (2003). Unfinished Business: South Africa, Apartheid, and Truth.London: Verso Press. • Sagittarius[Rajat Neogy](1997). ‘David Pratt is Dead’. Transition, No. 75/76, The Anniversary Issue: Selections from Transition, 1961-1976, pp. 270-272. • Wolf, Loammi (2012) ‘David Beresford Pratt: die mens agter die sluipmoordpoging’LitNet Akademies, Desember , Jaargang 9(3), pp. 2012-743.